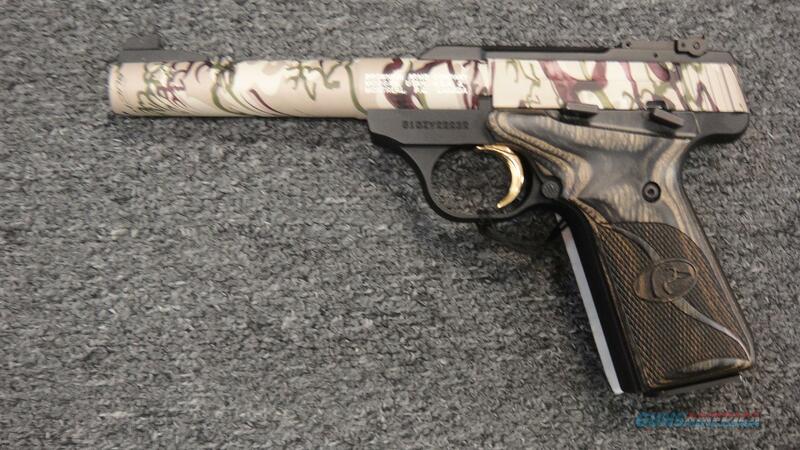 Description: This NEW Browning Buck Mark Camper (Ducks Unlimited Special Edition) is chambered in .22LR and has a 5.5" barrel. It has a camo barrel and camo bolt, and has a black frame with multicolored wood grips. It has a fully adjustable rear sight. It comes with one 10 round mag, hardcase, and manual.